FX Puts In A Series Order For WHAT WE DO IN SHADOWS! 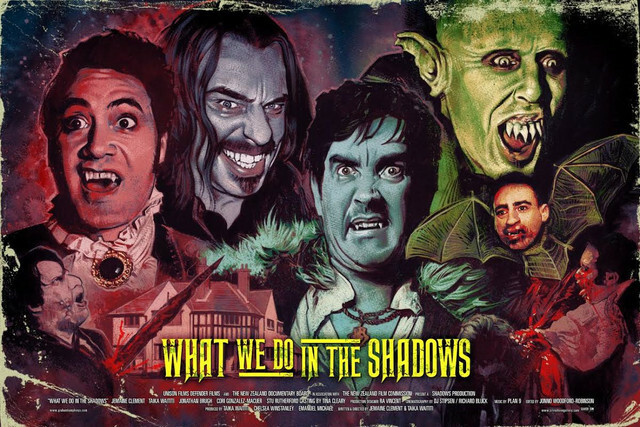 FX has officially ordered a 10 episode Season 1 for a WHAT WE DO IN SHADOWS series. It will be based off of the 2014 Horror/comedy what shares the same title. The series will follow three vampires who have been roommates for hundreds and hundreds of years in New York City. Co-writers and co-directors of the film Jemaine Clement and Taika Waititi will executive produce the series. At this point it is unknown if the actors from the movie will be reprising their roles. Also announced are two possible spin-off projects that are based on WHAT WE DO IN SHADOWS. One would focus on the werewolves that the vampires come across one night while in town, and the second project would be based on Karen and Mike, the comedic cop characters. WHAT WE DO IN SHADOWS series is slated to premiere on FX in the spring of 2019. We will continue to keep you updated on the series as we hear it.